Well-known throughout Atlanta and the surrounding region for our beautifully crafted custom-built homes and luxury renovations, Highlight Homes was honored to tackle an entirely new kind of project recently – the expansion of Red Oak Animal Hospital on Ben Hill Road in College Park. Open since 1985, Dr. Ronald Tolbert – Veterinarian and proud owner of Red Oak Animal Hospital – felt his busy veterinary practice was in need of a renovation, including the addition of a new kennel facility, surgery room, and ICU – as well as a solution to a serious rain-flooding problem. Dr. Tolbert found a number of contractors online, and reached out to five who had received five-star ratings. His search led him to Tony Pourhassan and Highlight Homes. Red Oak Animal Hospital is a highly touted veterinary practice that serves small companion animals such as cats and dogs, but also treats horses, exotic pets, and “pocket pets” on a limited basis. Their client offerings include a full range of medical services, anesthesia and surgical services, pain management and control, wellness and vaccination programs, boarding, and grooming. Tony and the Highlight Homes’ team understood that we would need to complete the work as quickly as possible in order for Dr. Tolbert and his staff to resume the all-important business of caring for their clients’ pets. We didn’t waste any time – from start to finish, the project was completed within five weeks. Tony and the talented team of craftsmen at Highlight Homes pride ourselves on not only creating special designs and live/work spaces, but also building lasting relationships with our clients – as was the case with Dr. Tolbert and his friendly veterinary staff. A very special thank you goes out to Dr. Tolbert and the crew at Red Oak Animal Hospital for entrusting us with such a significant job. 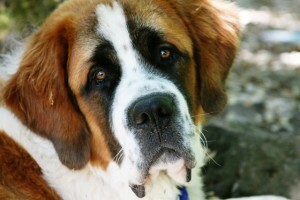 To learn more about Red Oak Animal Hospital, please visit them online at www.redoakah.com. Whether you are considering a residential or commercial renovation, or know someone who is looking for a highly skilled contractor – we encourage you to reach out to Highlight Homes to schedule a free, no-obligation consultation. We serve the entire metro-Atlanta area and surrounding region, including Buckhead, Alpharetta, Roswell, Sandy Springs, Dunwoody, Peachtree City and more. We can be reached by phone at 678.873.9234, by e-mail at info@highlighthomesga.com, or via our convenient online contact form. On the go? Check us out on your mobile device or smartphone by texting “Builder” to 99699. We look forward to meeting you and learning how best we can serve you! Highlight Homes is proud to announce that our own fearless leader, Tony Pourhassan has added four all-important letters to the end of his name – AKBD, which stands for Associate Kitchen and Bath Designer. He received this highly respected industry certification from the National Kitchen & Bath Association (NKBA) as a result of experience and education specific to this growing segment of the renovation trade. The NKBA is a non-profit trade association that has educated and led the kitchen and bath industry since 1963. With nearly 40,000 members and growing, the mission of the NKBA is to enhance member success and excellence, promote professionalism and ethical business practices and provide leadership and direction for the kitchen and bath industry. To earn his AKBD certification, Tony had to document a minimum of two years of industry experience, successfully complete 30 NKBA Education hours, submit two professional affidavits, and pass the written AKBD academic exam. He did so with flying colors! The AKBD certification recognizes achievement in the competencies necessary for both kitchen and bathroom design, and in order to maintain this certification, Tony will have to meet mandatory continuing education requirements annually. At Highlight Homes, we’re no strangers to seeking out instruction and certifications in order to strengthen and improve our skill set and knowledge base to better serve our clients. 2010 bore witness to our company becoming a Better Business Bureau Accredited Business and a certified agency of the National Association of the Remodeling Industry (NARI). We add these distinctions to a long list of affiliations and recognitions such as our standing as an Earth Craft House Builder, Energy Star Partner, LEED-certification, and memberships in the National Association of Home Builders and the Greater Atlanta Home Builders Association. In addition to stunning designs in kitchens and baths throughout the Atlanta area, we also specialize in room additions, whole home restorations, basement finishing, window & door replacements, decks & patios, landscaping & water features, roofing, design & architectural services, custom home construction, and more. If you would like to put Highlight Homes’ expertise to the test with your upcoming renovation project, we invite you to call us at 678.873.9234 TODAY! You can also reach us to schedule a free consultation via e-mail at info@highlighthomesga.com or by filling out our convenient online contact form. We look forward to hearing from you SOON! I wish to extend my heartfelt sorrow and prayers to those individuals, businesses and families affected by the massively destructive tornadoes that hit Alabama and Georgia late last month. As a native son of Alabama and the father of native sons of Georgia, I feel a strong connection to the people of both states. I cannot sit idly by and watch the devastation on news reports when I am in a position to offer assistance through my company, Highlight Homes, LLC. In 2009, I was prompted to start a community involvement arm of my company aptly titled “Help Atlanta” following hail storms that rocked the Newnan area earlier that year and massive flooding that affected the entire region later that same year. In the event of a natural disaster, such as the one that changed so many lives on April 27, my company, my vendors and I are all prepared to offer aid and advice to those in need. By submitting a request for assistance, victims of the April tornadoes in and around the Atlanta area may receive two hours of our services completely free of charge. Because we restore and renovate homes for a living, we can work quickly to help them put their homes and lives back together. Over the course of those two hours, we can aid with general clean-up, assess structural damage and the need for repairs, and offer valuable advice on how to spot a potentially fraudulent contractor. One of the sad facts I’ve learned in nearly three decades in this industry is that during disasters such as this, unscrupulous characters have a tendency to crawl out of the woodwork and descend upon unsuspecting homeowners in order to take advantage of them in their time of need in the hopes of separating them from their hard-earned savings or insurance settlements. They are often unregistered, uninsured and not licensed to practice contracting work within this or any other state. Chances are, the home may wind up in even worse condition that when the storm first cleared. I’m proud of the fact that Highlight Homes is a Better Business Bureau accredited business, and each of my contractors and sub-contractors is fully licensed, insured and registered in the state of Georgia. In the event that a homeowner elects to retain our services beyond the initial clean-up and consultation, we will work diligently and swiftly to see that their home is lovingly restored to its former glory. I can also happily act as a liaison between the homeowner and their insurance representative to lessen the stress and aggravation on the homeowner. If your home or the home of someone you know was recently impacted by the April tornadoes in Georgia, I invite you to contact Highlight Homes to submit a request for assistance. In the event of an overwhelming response, we simply cannot guarantee that we will be able to assist everyone who calls – but we will do our best. Requests will be fulfilled on a first come-first serve basis. Please submit requests by phone at 678.873.9234 or via e-mail at helpatlanta@highlighthomesga.com. To learn more about Highlight Homes – please visit our website at www.highlighthomesga.com. Best wishes to you and yours for a swift return to your “home sweet home”.